In this episode, you’ll hear from Trevor Matthews former MD/CEO of Legal & General Australia, ManuLife Canada and Japan, Standard Life UK, Friends Provident PLC and Aviva UK. He is currently a non-executive director of AMP, BUPA ANZ, FNZ Asia Pacific and Tokio Marine Asia. 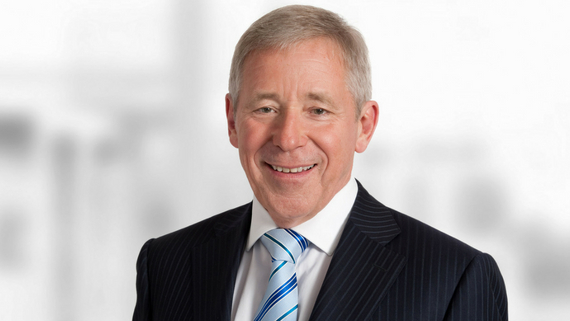 He is also Chair of the State Industry Regulatory Authority and 1st Group Ltd.
Trevor tells the story of his remarkable career from actuary to CEO and President of some of the world’s biggest insurance companies. He outlines that a leader is a dealer in hope, you have to build a track record and importantly you need to be respectful about the past, realistic about the present and optimistic about the future. The more you know about more parts of the organisation the more chance you have of getting collaboration happening and that is when the magic occurs. That’s when companies really move ahead I believe, when you have superb collaboration on the inside. If you’re so busy that don’t have time to work on bigger projects then getting good people around you is the secret. It releases you to work more across the business. One of the most important secrets is stamina and resilience. That is the only way you will succeed in the long run. If you haven't got a track record you should be working on getting one. And you don't have to do it alone. Build confidence by doing things one step at a time. Tackle things in bite sized pieces. Don't look for the big massive solution. What should every leader ask themselves everyday – What can I learn today? How can I do it better? A final message of wisdom for the next generation is from a Napoleon quote – A leader is a dealer in hope. Check out Trevor's guest post.